People still seek information on TV recycling, computer recycling, and other programs that will help them responsibly get rid of unwanted equipment ​while minimizing any risk of data or identity theft. The safe recycling of electronics is receiving increased attention from policymakers, industry, and consumers alike. This trend is good news because many consumers are still not sure how to safely dispose of old computers, smartphones or other electronic devices. According to one report, nearly 75 percent of old electronics continues to be stored in households because of the unavailability of convenient recycling options. 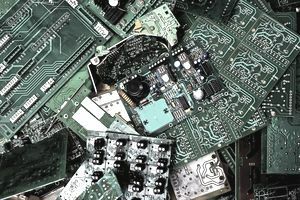 This article looks at some of the basic questions, such as defining e-waste, exploring why it is important, how consumers can recycle, state legislation, and the issue of the international shipment of hazardous e-waste. These EOL electronic devices, also known as e-waste and e-scrap, includes such items as dated computer equipment, stereos, televisions, and mobile phones. Such things can often be refurbished or recycled, yet a significant amount still finds its way to the landfill. Soberingly, only 20% of global e-waste is formally recycled the remaining 80% often incinerated or dumped in landfills. "Many thousands of tonnes also find their way around the world to be pulled apart by hand or burned by the world’s poorest workers," the World Economic Forum notes. "This crude form of urban mining has consequences for people’s wellbeing and creates untold pollution." In the U.S., the recycling rate is closer to 25%, with much of the e-waste being shipped offshore. Rich Source of Raw Materials Internationally, only 10-15 percent of the gold in e-waste is successfully recovered while the rest is lost. Ironically, electronic waste contains deposits of precious metal estimated to be between 40 and 50 times richer than ores mined from the earth, according to the United Nations. International Movement of Hazardous Waste The uncontrolled movement of e-waste to countries where cheap labor and primitive approaches to recycling have resulted in health risks to residents exposed to the release of toxins continues to an issue of concern. How Can Consumers Recycle Their Old Electronics Devices? Consumers have access to recycling opportunities, depending on where they live. Thinking regarding the electronics recycling hierarchy, the best choice is to donate computer equipment that can be refurbished or reused as is, provided that personal information is scrubbed from devices. Other recycling opportunities include authorized electronics recycler locations, electronics recycling events, or retailer take back programs such as those offered by Staples, Office Depot or BestBuy. Additionally, other programs are available to help consumers with the recycling of cell phones and batteries, such as through Call2Recycle. Are You Allowed to Throw E-Waste in the Trash? Whether or not you are allowed to throw EOL electronic devices into the trash, may depend on equipment and location. Refer to specific state legislation, but please recycle. Note that some communities or cities will have policies that ban e-waste even if there is no such ban at the state level. Be sure to enlist the use of recyclers who are certified through either of the voluntary certification programs that have been established to ensure responsible recycling, including R2/RIOS and e-stewards. In the United States, 26 states have mandated electronics recycling. Almost all of these policies require manufacturer responsibility to fund the recycling effort. California, by contrast, utilizes an advanced recycling fee (ARF) paid by consumers to support the recycling of old televisions, computer monitors, and DVD players. There is no federal law on electronics recycling.